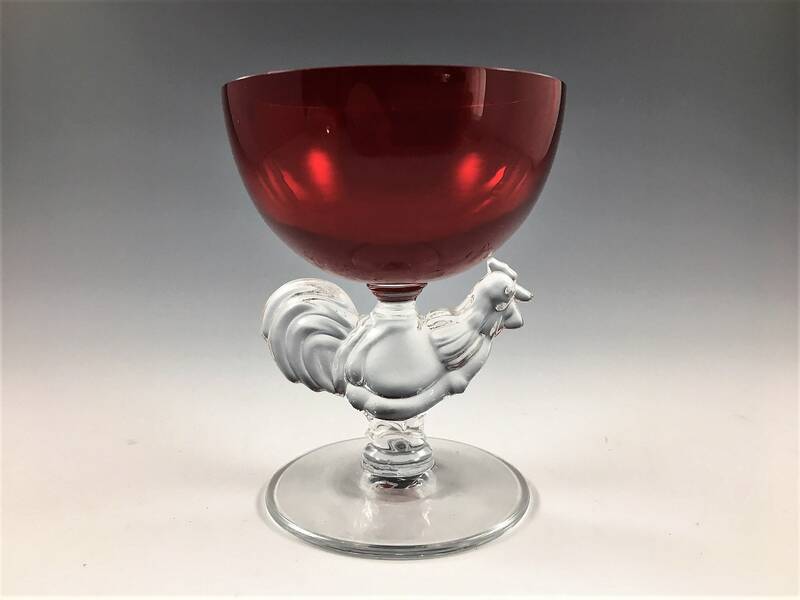 Featured is a magnificent set of 5 Morgantown Chanticleer cocktail glasses. 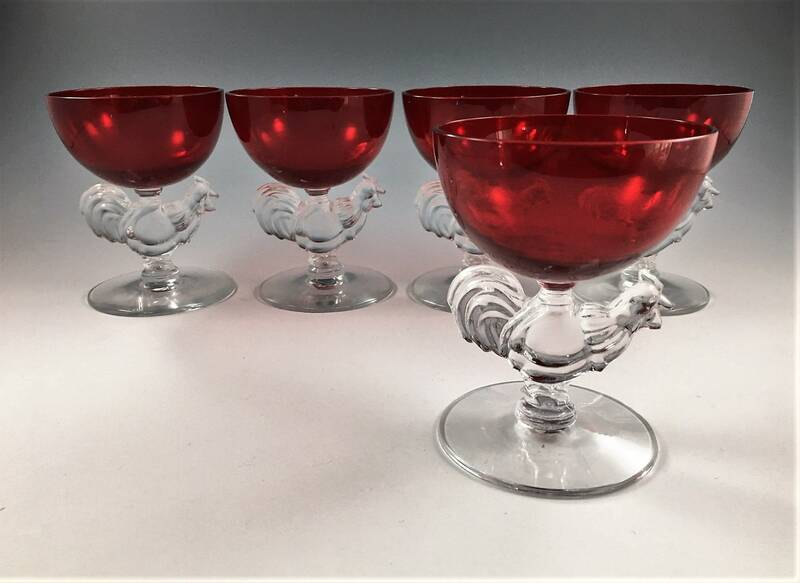 These pieces were issued in several colors, but these with the ruby red bowls are extra special. 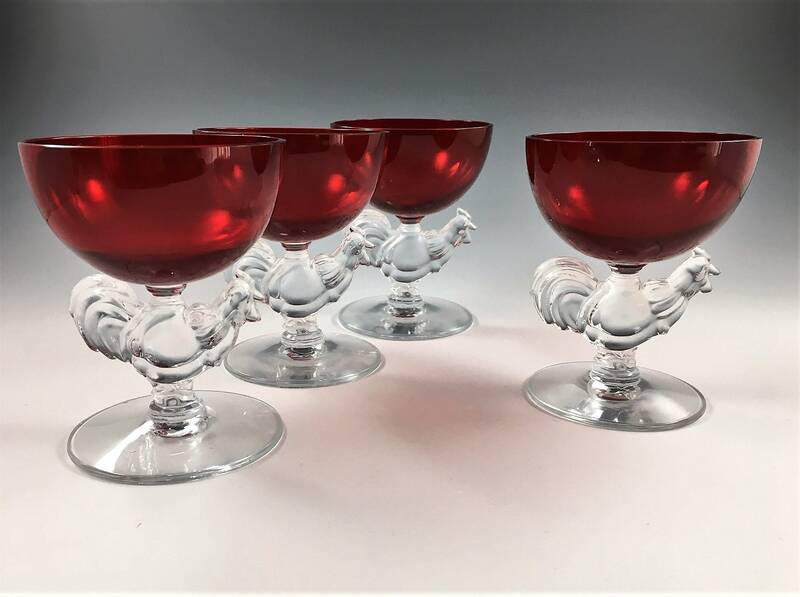 These sweet glasses are about 4 inches tall and about 3 inches in diameter at the rim. 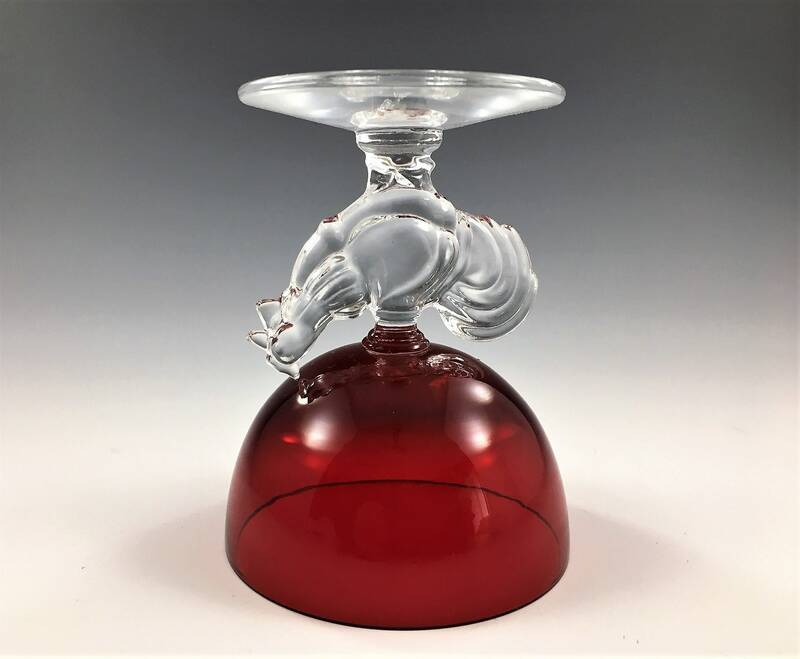 They sport a spectacular rooster stem and a rich ruby bowl. These pieces are in excellent condition. The only flaw I could find is the tiniest of chips to one of the rooster's beaks. All 5 glasses offered here for one low price.